If you need the guidance of skilled negotiators and accomplished trial attorneys, do not hesitate to contact the law firm of Jacoby & Meyers, LLP. Our firm provides legal advice and representation to clients throughout New York in personal injury, criminal defense, bankruptcy and a wide range of other practice areas. Since 1972, we have worked diligently to develop a reputation for professionalism, dedication and attention to detail. Our clients expect a top-notch experience from Jacoby & Meyers, LLP, and we strive to exceed their expectations at every turn. 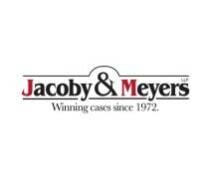 For thorough preparation, individualized attorney assistance and affordable fees, look no further than Jacoby & Meyers. Many individuals feel a natural hesitation toward seeking professional legal assistance. People can feel intimidated by a seemingly daunting task. We strive to be accessible for our clients at every stage of the legal process by answering their questions, providing honest feedback and removing as much of the worry from their shoulders as possible. Do not hesitate to schedule a free consultation with an attorney at Jacoby & Meyers, LLP, at your earliest convenience.